Operate your Business from a Sprinter van! – Dave the #NVguy now at Garlyn Shelton Nissan in Temple Texas, is your Nissan Fleet and Commercial Sales Specialist. How would you like to have your own business? Look at what the Sprinter Guy has for you. 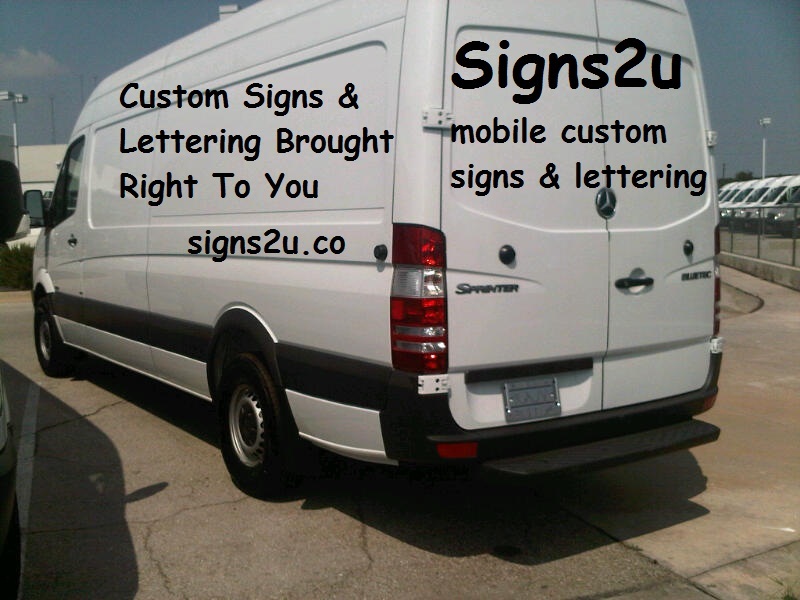 Signs2u is a mobile sign business, all run out of a Sprinter Van. You drive up to your prospects office or shop, complete the order and make and install the lettering or signs right there on the spot. Your Sprinter Van has 110 volt power to operated all of the tools you need to design, make and cut the vinyl sign material, or you can make banner signs right there in your complete Sign Shop on Wheels. No office or warehouse to pay for. Customers will love having the fast and efficiant service brought right to their door. You save on expenses, run your business right out of the Sprinter Van. You get a new 2012 Sprinter 2500 170″ wb van. All of the sign making tools and computers and a work station to cut the material out on. You get your start up materials so you can go out today and make money selling and installing signs for your customers. You will have your own website wwww.sign2u.co where you can market your services online. You pay TT&L down, approximately $3500, and have a monthly payment of $875 for 60 months, with approved credit through Mercedes-Benz Finance. Updated Info on the Sprinter Van Rear Heating Systems for 2013.